There are so many occasions in life when "zero" becomes a positive: I have zero tolerance for fools. I have zero criminal arrests. I have seen that movie where the attractive woman gives up romance for her career only to find love in the unlikeliest of places zero times. 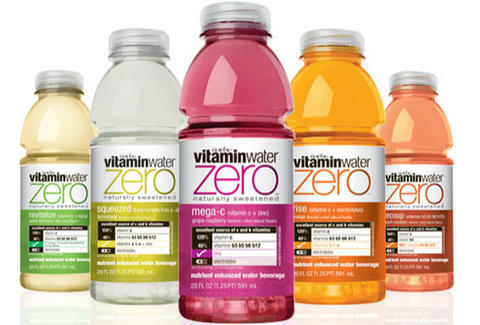 Well, you ain't seen nothing yet: introducing vitaminwater zero. For more info on bringing vitaminwater zero into your softball playing, biking, squashing, jogging, or possibly just briskly-walking lifestyle, just hit their Facebook page -- because you want zero calories, but you don't want zero friends. You probably have a lot of friends, because you're smart, attractive, and funny, but why not make one more at vitaminwater zero's Facebook page? Do it.